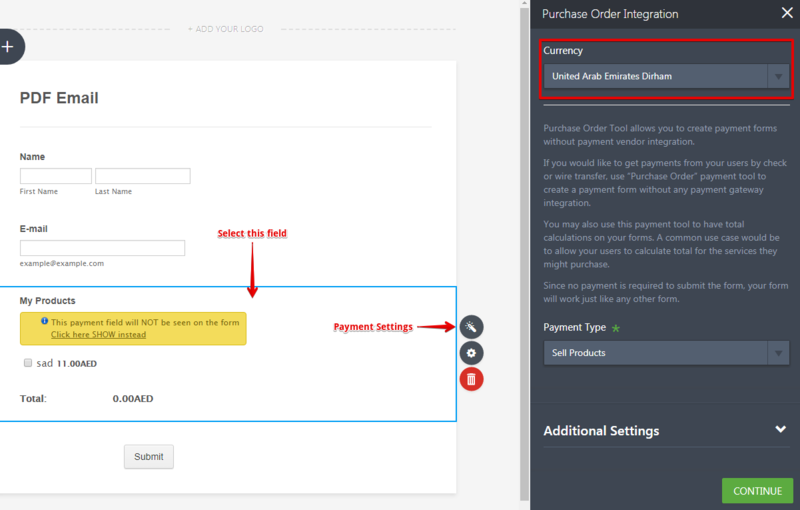 How to change the currency in the Purchase Order Integration? You can change the currency in the Payment Settings. 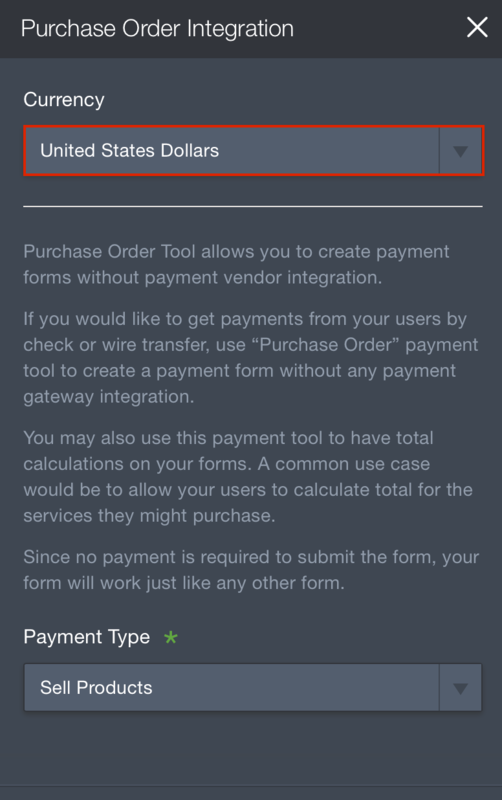 Just click the Purchase Order field and then click the "Payment Settings" button. In the Payment Settings, you'll see the "Currency" drop down. Please change it and then click the "Continue" button. Hello. The drop down button won't work.. 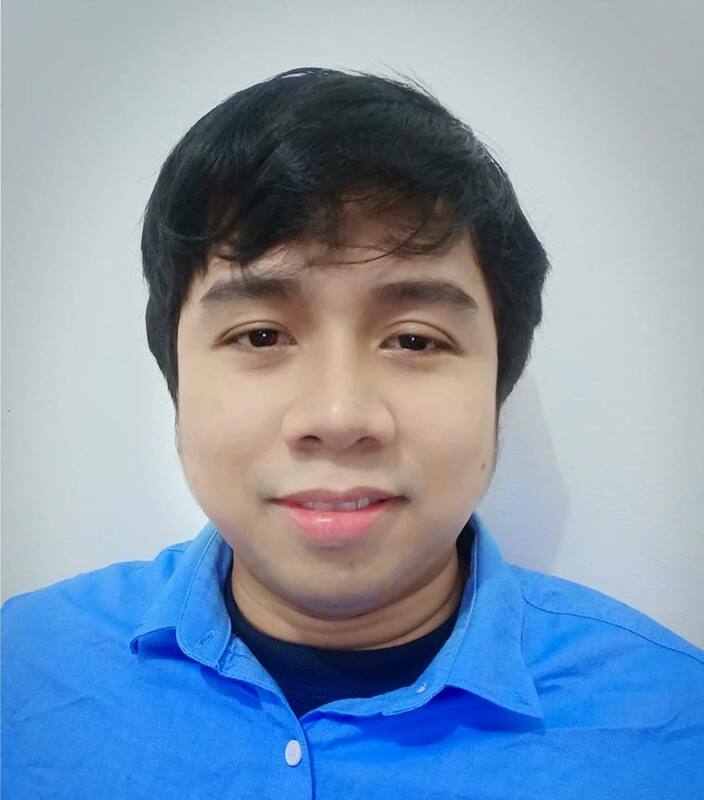 I checked your account and I can see that you are using PayPal integration and not Purchase Order. If you're still having issues, please change it back to Purchase Order so that we can try replicating the issue. We have resolved it already. Thank you. Thank you for keeping us posted, merakidesignsmnl. Feel free to get back to us if you have questions.